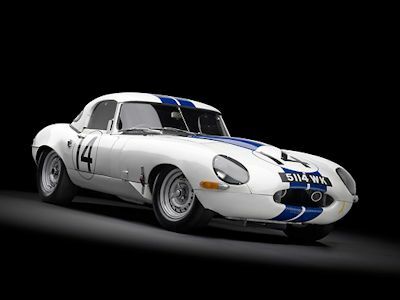 The exclusive Team CJ Lightweight E Type, built in the style of the 1963 factory lightweight racing E Types, is a bespoke creation built for the most discerning E Type owner. Each car features an aluminum monocoque, complete with alloy bonnet, doors, boot lid and hardtop. The fully assembled body weighs a mere 431 lbs. The suspension anchor points are reinforced with steel. A variety of performance options are available, although the standard specification includes a Team CJ Stage Two 4.2L engine build (3.8 stroked to 4.2), rated at 350 HP and 370 ft/lbs of torque when equipped with triple Weber 45 DCOE carbs and using 93 octane unleaded pump gas. 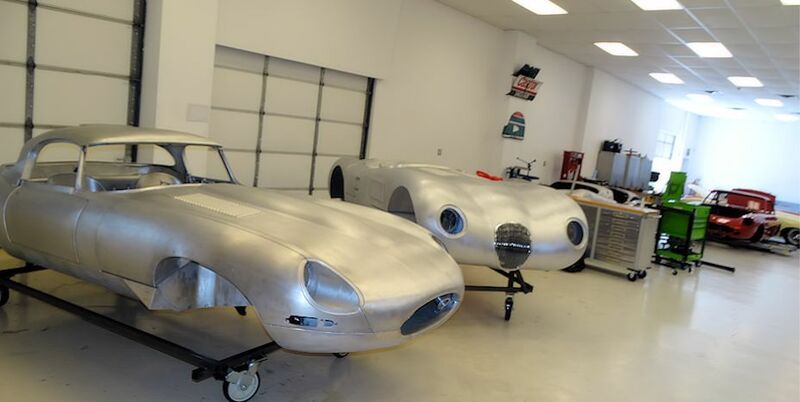 Depending upon precise specs chosen, each Team CJ lightweight alloy roadster weighs around 500lb less than a standard E Type roadster. 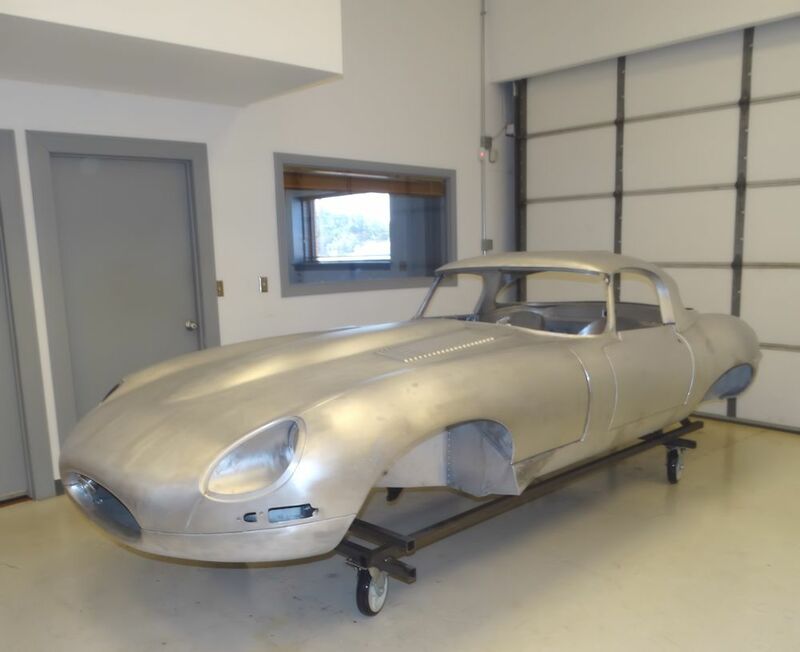 The cost of a Team CJ lightweight E Type is $450,000, not including the donor vehicle. 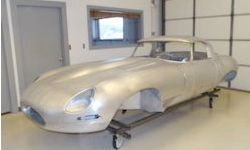 Each car will take approximately 18 months to complete. All Team CJ lightweights are 100% road legal.